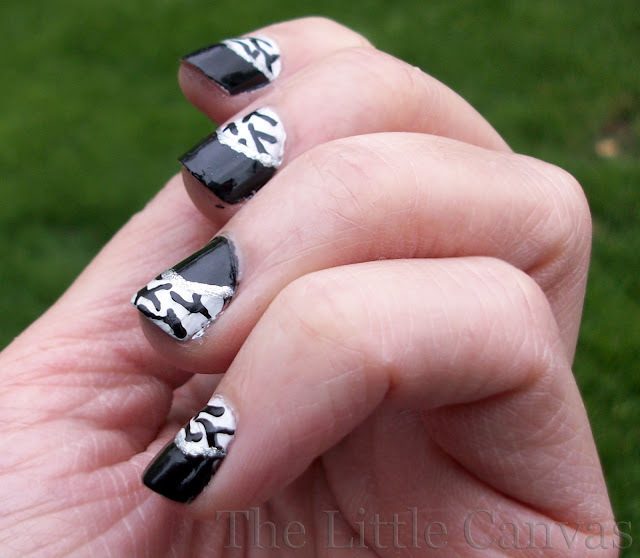 Did you expect me, the queen of nail art, to do a classic manicure without going over the top crazy?? I can't do simple, so leaving a splotch of color plain is by far one of the hardest things for me to do. For this mani, I originally was going to do Charming Chevrons - which was my lovely Charming by Revlon polish (a gorgeous lavender), with Sally Hansen Celeb City Chevron tips. Sadly, the colors looked horrible together, and the mani failed. I have to say, half moon manicures are not too hard!!! With that little sticker, it comes out perfectly. Sure, it was a little difficult placing the sticker, but I have had more difficult times with scotch tape. I found out that you must make the sticker less sticky before placing it on the paint, otherwise it will chip off the polish. 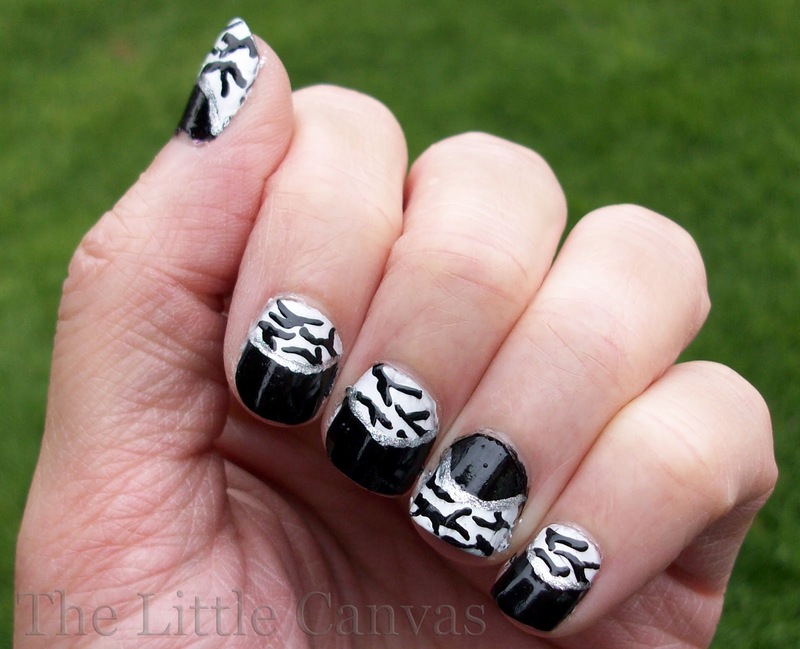 When the nails dried, I added the zebra details and the silver stripe with a tooth pick and finished with a top coat. Overall though, I'm not too sure how I liked this manicure. When I first did it, I loved it, thought it looked so neat. The next day, I felt Gothic with the black. I typically use my black polish for detailing, and really never this much of my nail is covered.